We all have different opinions throughout life. At the end of life, there is no right or wrong when it comes to arranging a funeral. Our policy is that if it is legal and possible, we will help you to achieve it. We thrive on finding different ways to help you to celebrate a life. We guarantee no pressure, no selling, and no nasty surprises … ever. We will guide you through all the arrangements that need to be made, at your own speed, and make sure you are aware of all the options. We will assist you in the completion of all necessary paperwork, and provide support throughout the process. We guarantee to be completely open and honest about our charges, and believe that we offer the best value available in the area. Our small size and low overheads mean that we do not have to pass on any unnecessary charges to you. We will not attempt to sell or push any service which you do not want or require. We believe in simplicity, and are more than happy to provide a basic service to each and every client. We will provide a written estimate of all costs and charges at the time of making the arrangements. If you wish to make any changes we will adjust the estimate accordingly. For many of us, a traditional funeral is the best way to reflect our life. We can arrange a funeral procession, with a hearse and following limousines, then a religious ceremony either at a church or a crematorium, with a wooden or more ornate coffin as the focal point. We offer a choice of eco-friendly coffins and a variety of different transport options. We can recommend celebrants who can help you design the ceremony and make it truly personal. Locating and obtaining music is all part of our service, and we try our hardest not to be beaten in any challenge you set us! Our professional charge of £1450.00 is fully inclusive of making all arrangements, liaising with authorities, clergy or celebrants, removal of the deceased from the local place of death to our chapel of rest, use of the chapel of rest and visits thereto as required, care of the deceased and the attendance of a funeral director throughout the proceedings and during the funeral ceremony. 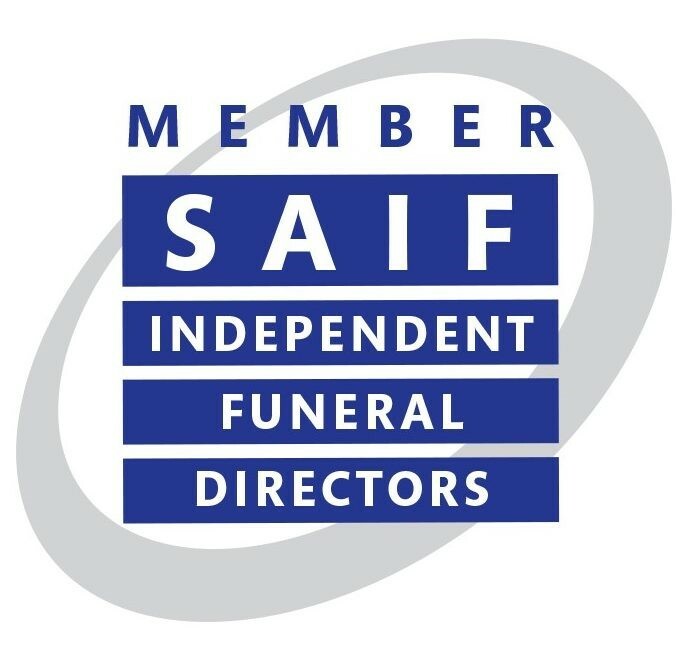 Advice on registration, certification and memorialisation, handling of donations, local delivery of flowers and cremated remains, and all administration is also included within this charge. Vehicles and coffins are charged as required, so that you do not pay for anything that you do not want or need.